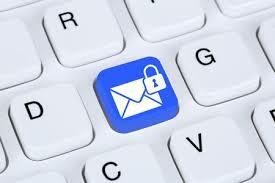 Email security threats are pervasive. 87% of IT security professionals said their company faced an attempted email-based attack in the past year. Three in four are more concerned about email based security now than they were five years ago. 81% said the frequency of email-borne attacks has increased in the past year: 25% said it increased dramatically and 56% said it increased somewhat. 81% also said the overall cost of an email security breach is increasing: 22% said it is increasing dramatically and 59% said it is increasing somewhat. Which is a greater email security concern? Poor employee behavior is the main concern for most, not the tools that organizations have in place to stop threats. This has always been conventional wisdom; the data now backs it up. It’s not surprising humans are the weakest link when it comes to phishing attacks. We’re curious and helpful by nature, which is why social engineering attacks are popular and profitable for cybercriminals. What has been the impact of attempted email-based security threats? Attempted email-based attacks have already impacted their businesses with interruptions and monetary loss, according to 88% of the IT pros. Half said they are more concerned about email-based threats than any other types of security threats. Which employees are you most concerned about falling for an email attack, such as phishing? There’s no consensus about the type of employee most likely to fall for an attack. Criminals are potentially balancing their attacks and not necessarily targeting any particular type of employee. Email attacks are a numbers game; the more attempts made, the more likely someone will fall for one – and there are a lot more individual contributors available to attack than executives. However, the payoff could be larger when executives fall for a social-engineering attack, due to the availability and quantity of sensitive information they have access to, which explains the increasing popularity of spear phishing and whaling. While frontline staff has less access to sensitive data, they are also less aware of the risks and impacts related to mistakes they can make, perhaps making them easier targets. Criminals are operating their scams like businesses, making risk-versus-reward decisions every day. They are continually experimenting to figure out what works and what doesn’t.